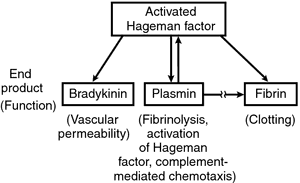 an early name given to a natriuretic factor derived from cardiac atria. Because the factor is now known to be a peptide, however, the term is no longer used. A hormone produced by cardiac atria in response to increased fluid volume or pressure. Synonym/acronym: Atrial natriuretic hormone, atrial natriuretic factor, ANF, ANH, APN. To assist in diagnosing and monitoring congestive heart failure (CHF) and to differentiate CHF from other causes of dyspnea. Plasma (1 mL) collected in a chilled, lavender-top tube. Specimen should be transported tightly capped and in an ice slurry. 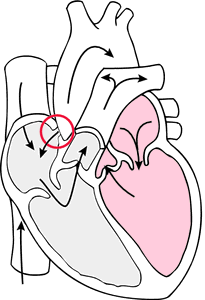 Atrial natriuretic peptide or atrial natriuretic factor (ANF) is a hormone secreted from cells in the right atrium of the heart when right atrial pressure increases. The release of this cardiac peptide is stimulated by increases in the stretch of the atrial wall caused by an increase in blood pressure or blood volume. ANF receptors are also stimulated by elevated sodium levels. This extremely potent hormone enhances salt and water excretions by blocking aldosterone and renin secretion. ANF inhibits angiotensin II and vasopressin, resulting in vasodilation and a decrease in blood volume and blood pressure. ANP is secreted in response to increased hemodynamic load caused by physiological stimuli as with atrial stretch or endocrine stimuli from the aldosterone/renin system. Drugs that may increase ANF levels include atenolol, candoxatril, captopril, carteolol, morphine, oral contraceptives, vasopressin, and verapamil. Drugs that may decrease ANF levels include clonidine, erythropoietin, prazosin, ramipril, and urapidil. Recent radioactive scans or radiation within 1 wk before the test can interfere with test results when radioimmunoassay is the test method. Failure to follow dietary and medication restrictions before the procedure may cause the procedure to be canceled or repeated. Patient Teaching: Inform the patient this test can assist in assessing heart function. Obtain a history of the patient’s complaints, including a list of known allergens, especially allergies or sensitivities to latex. Be alert to signs and symptoms of altered cardiopulmonary tissue perfusion related to ventilation-perfusion imbalance, decreased cardiac output related to altered muscle contractility, and fluid-volume excess related to glomerular filtration rate. Note any recent procedures that may interfere with test results. Instruct the patient to fast for 6 to 12 hr before the test and to avoid taking medications that interfere with test results, as directed by the health-care provider (HCP). Note: Drugs such as β-blocking agents, calcium antagonists, cardiac glycosides, and vasodilators can affect results. Prepare an ice slurry in a cup or plastic bag to have ready for immediate transport of the specimen to the laboratory. Prechill the specimen collection tube in the ice slurry. Ensure that the patient has complied with dietary, medication, or activity restrictions and pretesting preparations; assure that food has been restricted for at least 6 to 12 hr prior to the procedure. Nutritional Considerations: Increased ANF may be associated with coronary artery disease (CAD). Nutritional therapy is recommended for patients identified to be at risk for developing CAD or for individuals who have specific risk factors and/or existing medical conditions (e.g., elevated LDL cholesterol levels, other lipid disorders, insulin-dependent diabetes, insulin resistance, or metabolic syndrome). Other changeable risk factors warranting patient education include strategies to encourage patients, especially those who are overweight and with high blood pressure, to safely decrease sodium intake, achieve a normal weight, ensure regular participation in moderate aerobic physical activity three to four times per week, eliminate tobacco use, and adhere to a heart-healthy diet. If triglycerides also are elevated, the patient should be advised to eliminate or reduce alcohol. The 2013 Guideline on Lifestyle Management to Reduce Cardiovascular Risk published by the ACC and AHA in conjunction with the NHLBI recommends a “Mediterranean”-style diet rather than a low-fat diet. The new guideline emphasizes inclusion of vegetables, whole grains, fruits, low-fat dairy, nuts, legumes, and nontropical vegetable oils (e.g., olive, canola, peanut, sunflower, flaxseed) along with fish and lean poultry. A similar dietary pattern known as the DASH diet makes additional recommendations for the reduction of dietary sodium. Both dietary styles emphasize a reduction in consumption of red meats, which are high in saturated fats and cholesterol, and other foods containing sugar, saturated fats, trans fats, and sodium. Recognize anxiety related to test results, and be supportive of fear of shortened life expectancy. Discuss the implications of abnormal test results on the patient’s lifestyle. Provide teaching and information regarding the clinical implications of the test results, as appropriate. Educate the patient regarding access to counseling services. Provide contact information, if desired, for the American Heart Association (www.americanheart.org) or the National Heart, Lung, and Blood Institute (www.nhlbi.nih.gov). Related tests include aldosterone, antiarrhythmic drugs, ADH, apolipoprotein A and B, AST, BNP, blood gases, CRP, calcium/ionized calcium, cholesterol (total, HDL, and LDL), CK and isoenzymes, CT scoring, echocardiography, glucose, glycated hemoglobin, Holter monitor, homocysteine, ketones, LDH and isoenzymes, lipoprotein electrophoresis, magnesium, MRI chest, myocardial infarct scan, myocardial perfusion heart scan, myoglobin, PET heart, potassium, renin, sodium, triglycerides, and troponin. See the Cardiovascular System table at the back of the book for related tests by body system. Renal expression of the gene for atrial natriuretic factor. Solid-phase double-antibody radioimmunoassay for atrial natriuretic factor. Direct radioimmunoassay of atrial natriuretic factor.